What movement are you married to? Marry the Movement from Southerners on New Ground (SONG) on Vimeo. This is a video Southerners On New Ground (SONG) made as a love letter to the LGBTQ movement and our allies. We want to encourage the promise and commitment of love for each other as LGBTQ people, beyond any one issue or win. This video made by SONG did a lot to bring me back to the essence of all this media, rulings, celebrations, explanations. What movement am I married to? Whose movement is it? Who is funding that movement? The marriage wins at the Supreme Court this week feel big. But I’m not sure that they feel like mine. Marriage is not an institution that I personally am particularly interested in joining, nor do I think inclusive marriage will be the site of our collective liberation. Gay marriage means there are now benefits available to me if I’m willing to join this particular vision of a legal contract for my romantic partnership. And don’t get it twisted−these benefits are huge and vastly important in our world. They are difficult to survive without. In the context in which we understand marriage as a fundamentally conservative value or entity, in that it encourages the formation of families and romantic partnerships in a particular way that benefits a particular view of society, of family, of economics and capitalism, then it’s not so hard to understand how these marriage rulings came down from the same court that also gutted the Voting Rights Act, dissolved a Native man’s legal rights to his biological child, and refused to make a ruling regarding Affirmative Action. Radical Doula, over these almost 7 years I’ve been posting here, has morphed many times. In the last few years I’ve written almost exclusively about things that are birth activism related, mostly because other writing I did went elsewhere−often places that paid me for my writing. But that has meant that this space no longer truly encapsulates the breadth of my political perspective–the picture of my true movement–because I’ve limited myself to one box. While getting paid to write has done much for my ability to pay my rent, and has also given me access to audiences broader than this one, it’s also limited me in different ways that I’m excited to let go of. 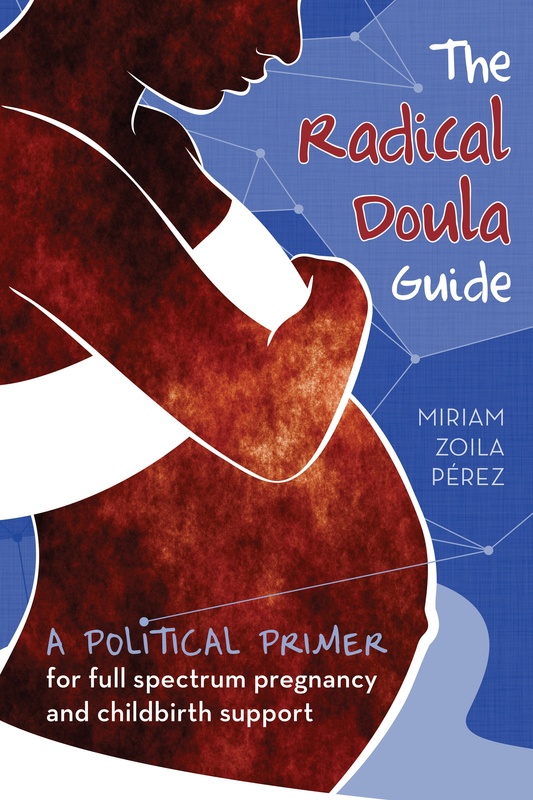 So, dear Radical Doula readers, I hope you’ll indulge me in my political musings beyond birth activism exclusively. It’s all, however loosely, tied to this bigger vision, this bigger movement that I’m searching for and craving and waiting for−one that won’t ask me to choose or prioritize or wait for my turn. Previous Article See you at the Allied Media Conference! Woohoo! Forward Together is lucky to have you. And I’m so glad that we’ll get to keep reading your musings on all the ways of moving toward justice. Thank you for all you do to inform, provoke deep thinking, and build and connect communities. Woohoo! Forward Together is lucky to have you. I’m so glad that we’ll get to keep reading your musings on all the ways of moving toward justice. Thank you for all you do to inform, provoke deep thinking, and build and connect communities.